Dr. Irene Newton is an Assistant Professor in the Department of Biology at Indiana University in Bloomington. She received her Masters and PhD in Organismic and Evolutionary Biology from Harvard University where she was a Howard Hughes Predoctoral Fellow. Afterward, she completed an NSF Postdoctoral Fellowship at Tufts University and served briefly on the faculty at Wellesley College before joining the faculty at Indiana University. Irene has received many awards and honors, including a Woodrow Wilson Foundation National Fellowship awarded this past year. Irene is with us today to tell us all about her journey through life and science. 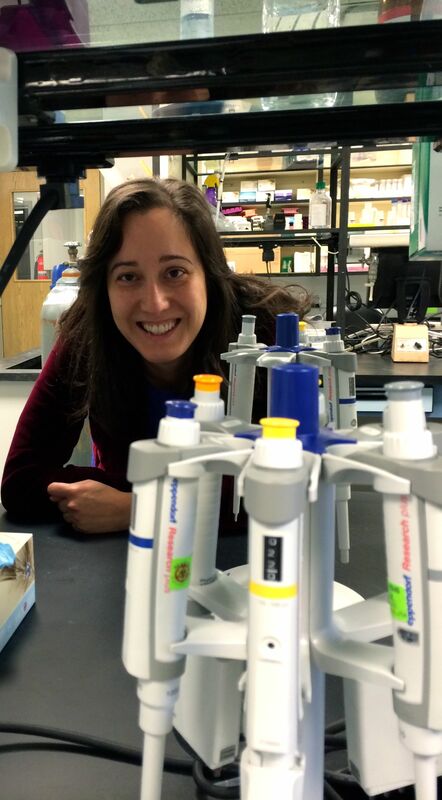 Irene’s lab uses a combination of genomics and bioinformatics coupled to genetics and microbiology to understand symbiotic interaction between bacteria and insects. Her lab has two major foci: Wolbachia, the maternally transmitted, intracellular bacterial parasite of insects and nematodes, and environmentally transmitted microbes that associate with the honey bee. In her research she uses a combination of genetics, cellular and molecular biology to elucidate how these bacteria interact with their host. Irene is an advocate for open access science and serves as an editor for Frontiers in Microbial Symbiosis, PeerJ and BMC Microbiology.